Disney, STXfilms, Sony, and Warner Bros. have set release dates for upcoming films, so it's time for updates to the “Best in Shows” film calendar (see “Best in Shows Index”). Winnie the Pooh and the rest of the residents of the Hundred Acre Wood are getting the live action treatment in Christopher Robin from Disney. 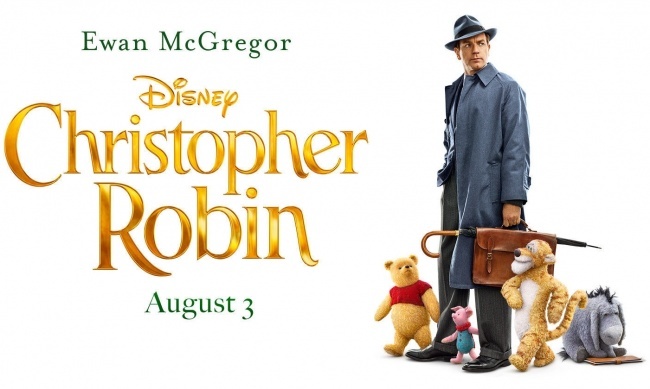 The film finds the now grownup, overworked, and disillusioned Christopher Robin, played by Ewan McGregor, visited by his stuffed childhood friends. The cast is rounded out by Hayley Atwell as Christopher’s wife Evelyn, Bronte Carmichael as his daughter Madeline, and Mark Gatiss as his boss Giles Winslow. It also includes the voices of Jim Cummings (Winnie the Pooh and Tigger), Brad Garrett (Eeyore), Toby Jones (Owl), Nick Mohammed (Piglet), Peter Capaldi (Rabbit), and Sophie Okonedo (Kanga). It opens August 3. Things will get pretty UglyDolls in an animated feature film coming to theaters on May 10, 2019. Singer Kelly Clarkson has signed on to voice the character Moxy and will be performing original songs in the STXfilms release (via Variety). Hip hop and reggaeton musician Pitbull is also part of the cast. The UglyDoll brand was founded in 2002, and the unique plush characters have appeared in books, graphic novels (see “Review: 'UglyDoll: Goin' Places!' TP”), apparel, licensed toy mash-ups (see “'UglyDolls' a la DC” and “'Star Trek UglyDolls'”), and games (see “'UglyDolls' Invade Game World”). Vin Diesel-starrer Bloodshot has a release date. 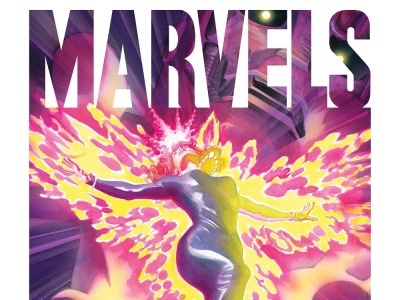 Sony has staked out February 21, 2020, for the film, which began production earlier this month, according to The Wrap. Eiza Gonzalez (Alita: Battle Angel), Michael Sheen (Good Omens), Toby Kebbell (Kong: Skull Island), Alex Hernandez (unREAL), and Johannes Haukur Johannesson (Game of Thrones; see “Jim Carrey in Talks for 'Sonic the Hedgehog,' 'Bloodshot' Casting, Sony Has 'Faith,' First Look at Cheetah, 'Animosity' and 'Crowded' Optioned”). The Dave Wilson-directed film based on the Valiant Comics supersoldier will reportedly have an R rating. No joke, the Joker film will be in theaters on October 4, 2019 (via Deadline). Warner Bros. staked a claim to the date for the film from director Todd Phillips, which stars Joaquin Phoenix. The standalone film is a dark character study reportedly set in the 1980s and entirely separate from the universe established by Suicide Squad. Robert De Niro and Deadpool 2 star Zazie Beetz are in talks to co-star (see “Frank Miller Regains 'Sin City' Rights, Rucka Adapting 'The Old Guard,' 'Charlie's Angels' and 'Wonder Woman 2' Casting, 'Detective Pikachu' Moves to Warner Bros.”).